Athletes from around the world will join CrossFit Advanced in the Second Annual Royal H. Burpee Challenge to honor the Easton, PA man who made the exercise a household name: Royal Huddleston Burpee. 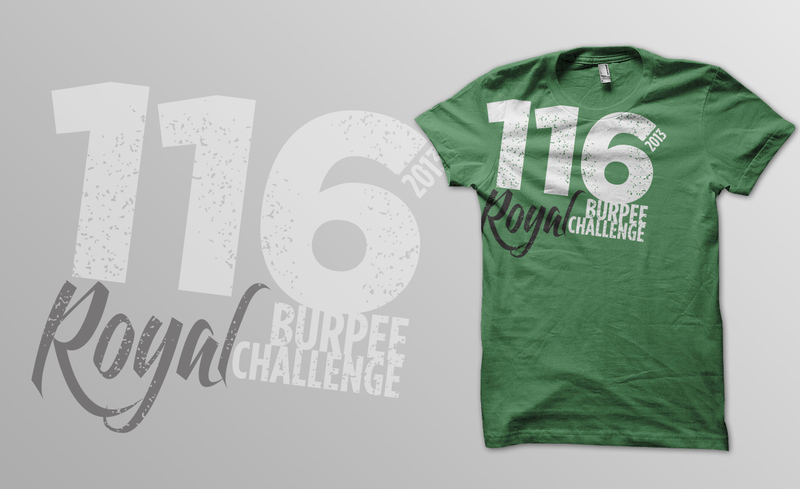 The challenge begins Feb. 9, 2013 and culminates with 116 burpees on June 4, on what would have been Royal H. Burpee’s 116th birthday. Athletes can accept the challenge and invite others to join them by visiting the FaceBook page HERE. A burpee, which is similar to a squat thrust, is an intense exercise that combines a squat, a push-up and jump. It does not require any special equipment, or even a lot of space. Burpees are a notoriously strenuous conditioning exercise, a staple of CrossFit workouts, and a favorite of football coaches and military trainers worldwide. Start the challenge by doing a single burpee on Feb. 9. On Feb. 10, the second day, do two. On Feb. 11, the third day, do three. Continue to add a burpee to your daily workout every day until June 4, when we will do 116 burpees. Athletes may do the burpees on their own, and the burpees can be spread out over the day, but each day’s required number of burpees must be completed before moving on to the next day. So if an athlete fails to do 10 burpees on Day 10, they must do 10 burpees the following day, plus the 11 burpees owed for that new day. For video demos on how to do a burpee, CLICK HERE. Thanks to our member and award winning graphic designer, J Taylor Design, for another fantastic looking shirt. Improvements have been made over last year by bringing on Tagged Swag to do the printing and distribution. Tagged Swag was the company behind the Sandy Hook Memorial T and donated 100% of the proceeds. Needless to say, they are quality people doing quality work. ORDER YOUR SHIRT HERE. CrossFit Advanced Owner Greg Tymon said the response to the Royal H. Burpee Challenge has been amazing. WHO WAS ROYAL H. BURPEE? Burpee (1898-1987), a World War I veteran, served as the overseas program director for the United Service Organization (USO) during World War II. Between the wars, he earned a doctorate in physiology from Columbia University. A lifelong advocate of physical fitness, Burpee was also the executive director of Bronx-Union Branch of the New York City Young Men’s Christian Association (YMCA) from 1946 to 1964. He continued to be involved with the Greater New York YMCA until his death in 1987 in Easton, Pa., home of CrossFit Advanced. While it’s not clear whether Burpee invented the exercise, or just made it famous with his test, the move is still being done today.